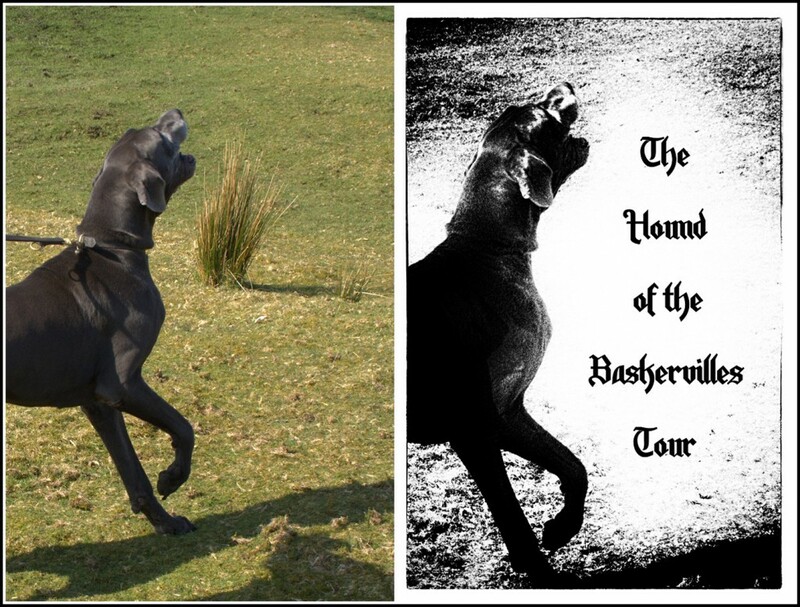 One of my favourite tours to deliver to guests is my Hound of the Baskervilles Tour. During the day we visit many different locations, from tranquil villages and burned down churches, to isolated Dartmoor bogs and Bronze Age settlements. The story behind the story is absolutely intriguing, with many surprises in store for my guests, something I enjoy beholding as they become aware of just how the greatest of all Sherlock stories came about, and who was involved in its creation other than just Sir Arthur Conan Doyle. 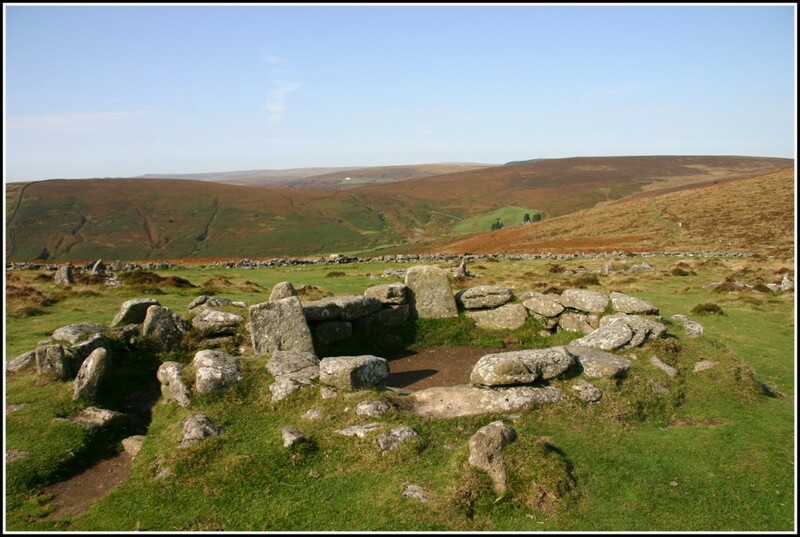 Understandably I wanted this tour to become one of my headline tours, since Sherlock Holmes and the Hound of the Baskervilles are still hugely popular and recognisable around the world today. As I put the structure of the day into place, I realised that no matter how good the actual experience, I needed to get together some excellent publicity material, in particular some evocative images. During trial runs of the tour I had my camera with me (as always! ), so was able to take shots of relevant places, some of which have been useful on my website, and some for pretty good promotional purposes. But I felt strongly that I needed something more, something that really summed up the story for people. In nearly all of Conan Doyle’s Sherlock Holmes stories, Sherlock is the overriding and most memorable character. 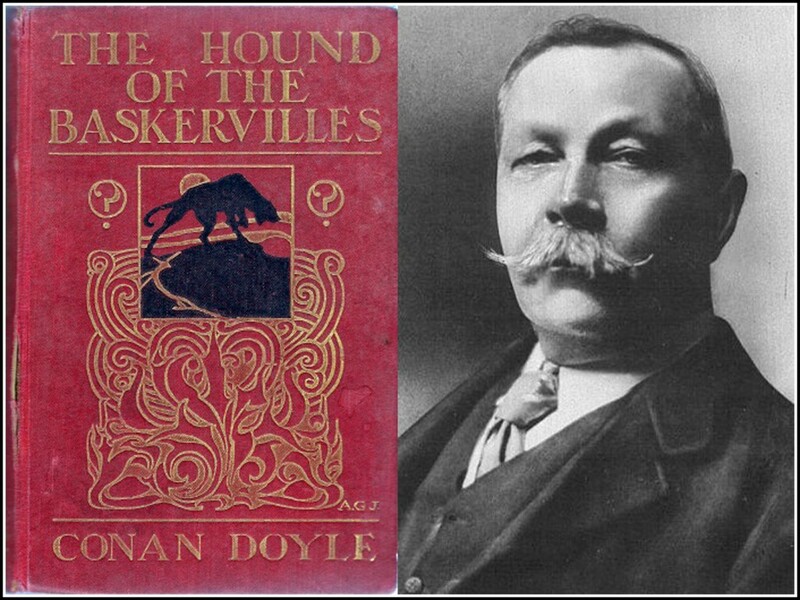 Not the case in the Baskervilles – ask anyone what vision the title conjures up, and they will almost always say “the Hound”. So, my next mission was to come up with a suitably menacing photo of a dog. 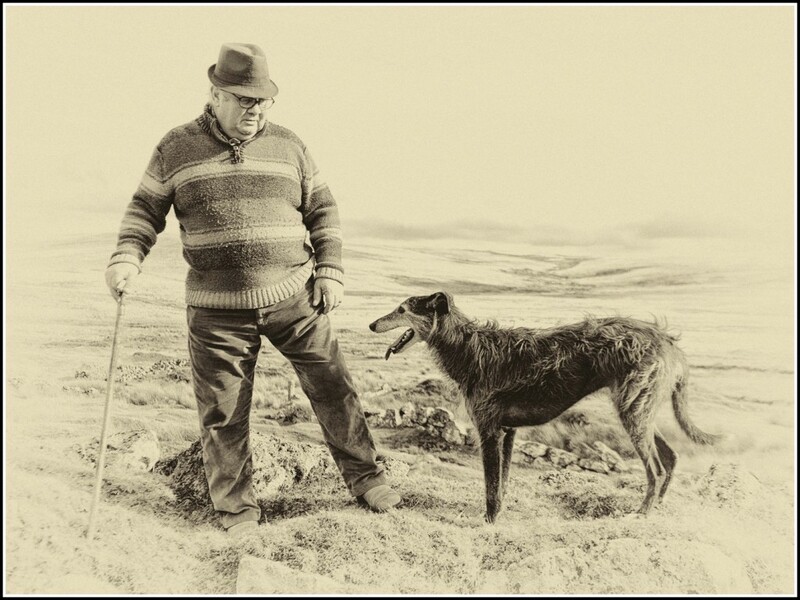 On another of my many trips to Fox Tor Mire (visited by Conan Doyle in 1901, and the inspiration for the deadly Grimpen Mire in the book), I had a chance encounter with a delightful local man walking his dog, and he let me take a photo or two of him and his dog, a Lurcher named Alfie. It seemed like too good a chance to miss, but as it turned out, Alfie just didn’t have the presence required to be the Hound. I quickly ruled out using a Lurcher as the Hound, although he posed beautifully! I went back to the drawing board, and did some research into what breed of dog would be the archetypal Hound. 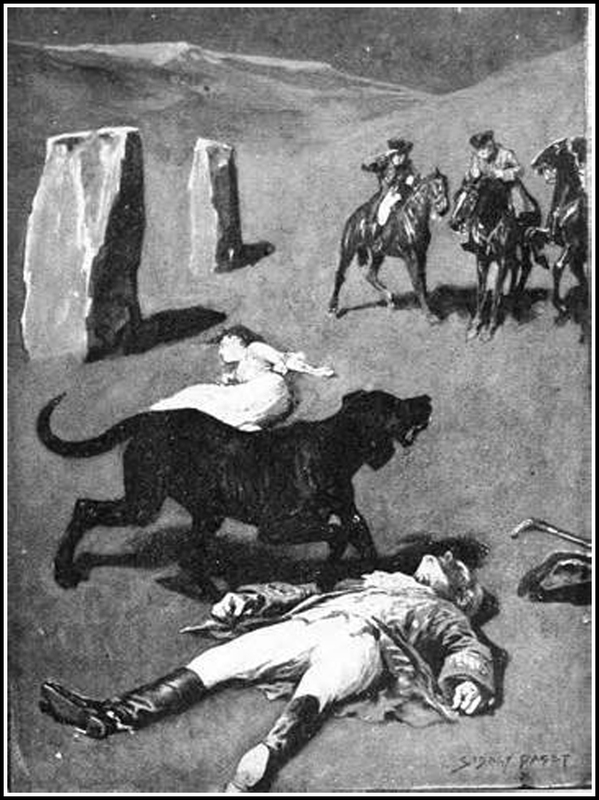 I looked at the Hound that was illustrated for the original story by Sidney Paget, at Conan Doyle’s request, and considered that it was most probably based on a Great Dane, with its powerful physique and large head. I then referred to my favourite of the many adaptations done for television and film, the 1939 version starring Basil Rathbone. The Hound was played by a Great Dane named ‘Blitzen’, although due to it sounding too Germanic just before the outbreak of the war, Fox Studios changed his name to ‘Chief’ for all the promotional material! My next job was to find a Great Dane to act as a model for a photo shoot. 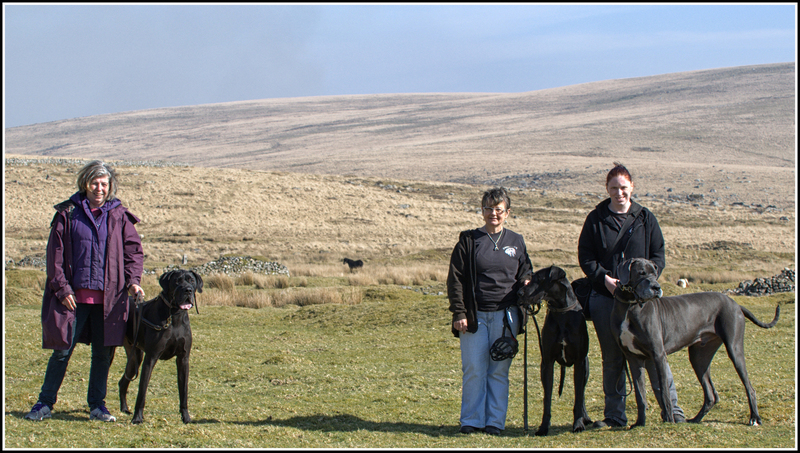 I put a slightly cheeky request on the Great Dane Owners Forum for a dog and its owner to meet me on Dartmoor. Well, much to my surprise, within two or three days I had four dogs lined up for the shoot, so I called upon my friends at Newton Abbot Photographic Club – www.newtonabbot-photoclub.org.uk - to ask for some extra support, which luckily was very forthcoming. 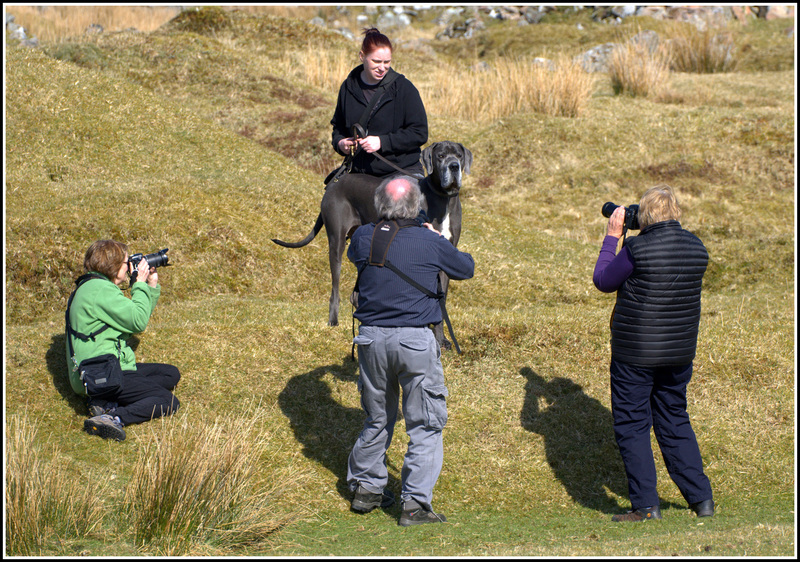 Shortly after, on a beautiful March day, four Great Danes, three owners, and four photographers met at Fox Tor Mire for the shoot to begin. The dogs were fabulous, and although they couldn’t be let off the lead due to it being lambing season, we managed to get some good images. For me, Luther (the dog on the right in the image above) was the ideal Baskervilles Hound. He was huge, and had a very strong shape to his head. His great big jowls just added to his character, and he had a lovely playful personality too. We all took many photos of Luther and the other dogs, then I had the task of turning them into terrifying, monstrous hell hounds that would look good on my website and any other marketing material. Below are some before and after images, most of which I felt came out pretty well. Luther, transformed from a drinking dog to a Hell Hound…maybe! It would be great to now add an atmospheric set of Sherlock Holmes (traditional rather than modern) images into my marketing material, but finding someone to play the part, complete with authentic outfit, isn’t such an easy thing. You don’t happen to know of a willing candidate by any chance?! 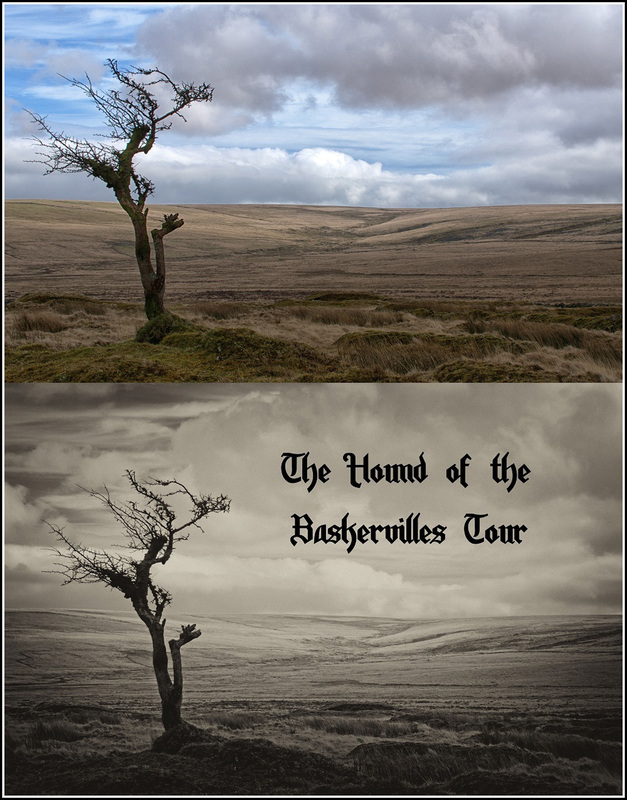 The postcard that I’ve created for guests to send to family and friends on their Baskervilles day out, with me about to post one!